Doe eyed Deepika is one of the most sought after actresses in B-town. She enthralled audiences with her charming beauty in the super successful Om Shanti Om and from then on there was no looking back for this model turned actress. Deepika’s ever-changing looks and style have caught the attention of many, right from her dreamlike aura in Bachna Ae Haseeno to the fierce Chinese girl in CC2C. StarBoxOffice takes a look at Dippy’s effervescent style mantra. 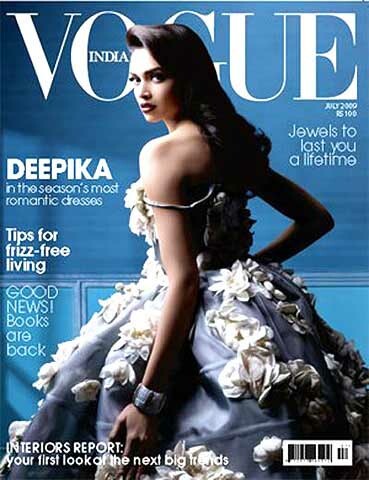 Being a model, Deepika is a natural when it comes to fashion, the leggy lass has also graced fashion bible Vogue two times already. “To me style is all about comfort, I don’t believe in overdoing an ensemble as I love to stay at ease in my clothing. Also I’m not too fussy either when it comes to styling,” she quips.